Are you always looking for healthy snacks but aren’t sure what to make? Snacks for the kids after school or something for you to eat late at night? Try this quick and easy energy balls recipe the whole family will love. 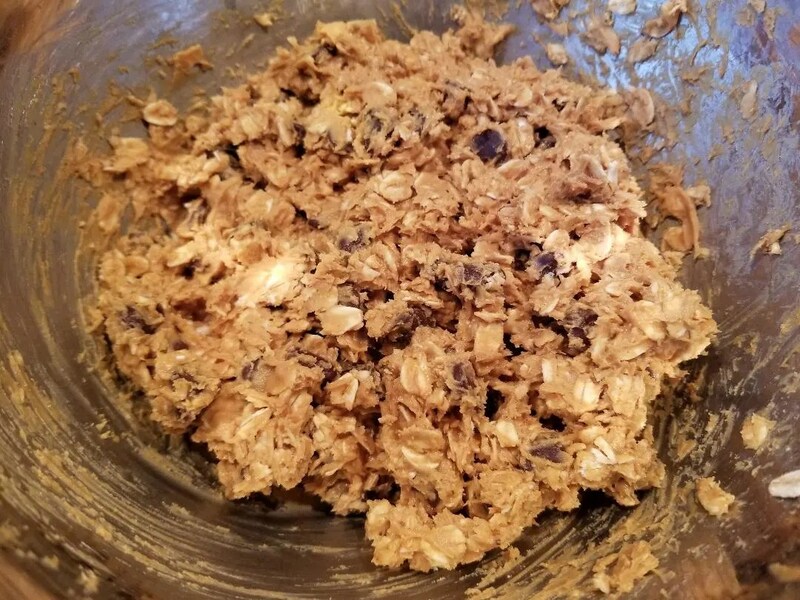 What makes the recipe so quick is it’s a no bake recipe that anyone can make. 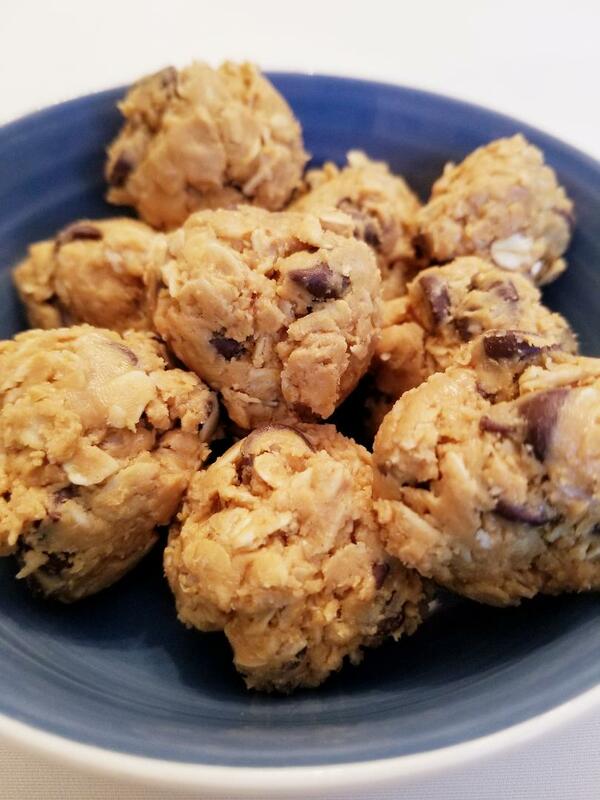 The chocolate peanut butter energy balls are so delicious my kids come home begging for them after school and my husband and I find ourselves snacking on them after the kids go to bed. This healthy energy balls recipe is so easy to make you will be whipping them up all the time. 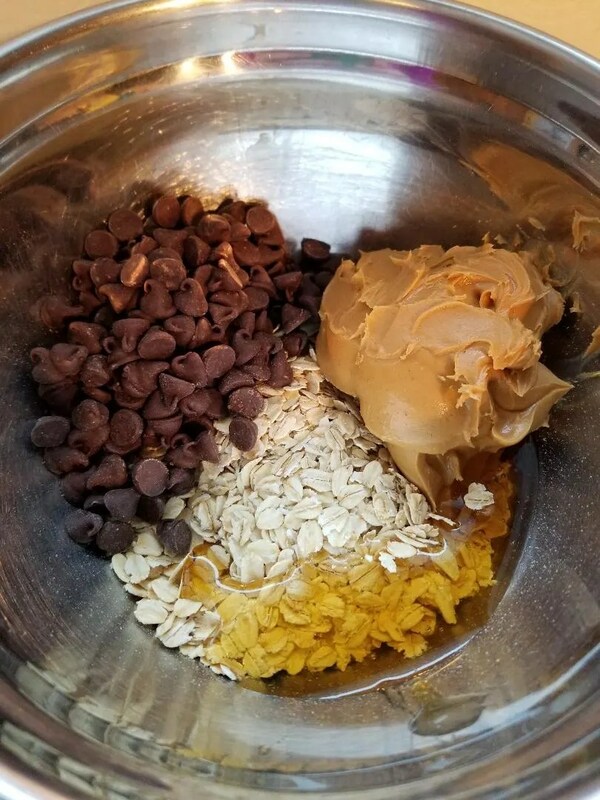 What makes this Peanut Butter Energy Balls recipe so easy is there are only four ingredients and no baking just mix them up. First Step is to add all the ingredients into a bowl. Second step is to mix all the ingredients together. Next put the bowl in the refrigerator for at least 20 minutes or until the peanut butter has hardened enough to mold into balls. If you skip this step the peanut butter is too sticky to work with. After the mixture cools take it out and use a spoon to create small balls out of the mixture. Then the peanut butter energy balls are ready to eat. Can you believe it is that easy!! No baking and no cooking just mixing up four ingredients and your done. You can even let the kids help you make it. Keep whatever leftovers you have in a Tupperware container in the refrigerator until you are ready to eat them again. Sometimes I even make a double batch so we can have them all week as a snack. I hope your family will enjoy these as much as mine have! Healthy Tip: You could also add in 1/3 cup of flax seed to the mixture. 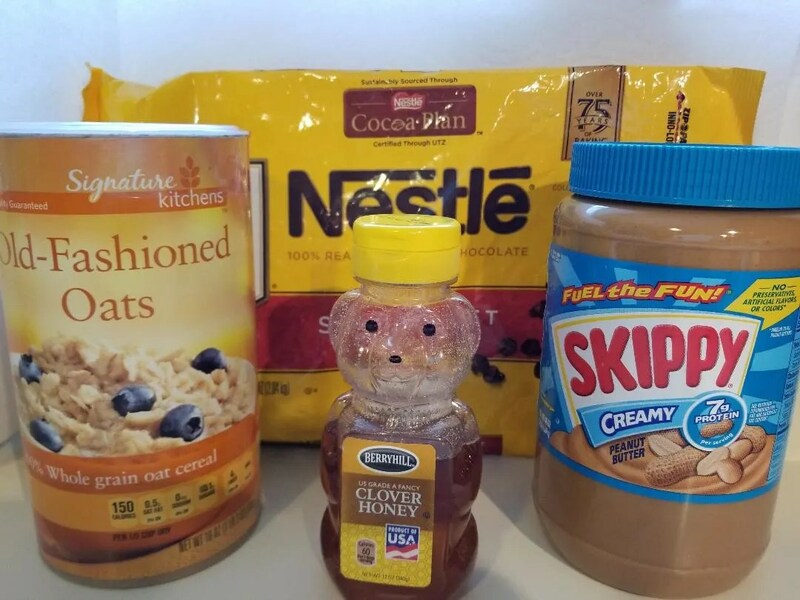 Add all four of the ingredients into a bowl and mix them together. Put the bowl in the refrigerator for at least 20 or until the peanut butter is firm enough to mold into balls. Use a spoon to create small balls out of the mixture. Now they are ready to eat. Keep any leftovers in a Tupperware container in the refrigerator. If you want to make them a little healthier add a 1/3 cup of flax seeds. Do you have a quick snack your family loves or your own spin on energy ball recipes. Please share it with us all in the comments. With our busy lives we could all use some quick snack ideas. Don’t miss any new recipes or parenting hacks by joining my e-newsletter today. Get a free birthday party checklist to keep you organized too! Need a fun laugh everyday? Join my Facebook page for daily parenting jokes to put a smile on your face. Or find great mommy hacks, family travel and recipes on my Twitter and Instagram. I’d love to have you follow me! Check out some more great family meal ideas below from Happy Mom Hacks. I also wanted to say that I absolutely love your blog! I’m a mom of 3 and I need tips like these on the daily! With that said, I have nominated you for the Liebster Award 2018! If you would like to accept this nomination, you can go to my Liebster 2018 post, and just leave me a note in the comments. The instructions for how to accept the nomination are also listed in my post (if you scroll down). No pressure to accept! Either way is totally up to you! Thank you Kay! I am so glad you enjoy reading my blog. I will take a look at your Liebster Award on your site. Thank you for nominating me!